Hi everyone, today I'm up on the Sunny Studio Stamps blog using the Cute As A Button stamp set to create a rainbow button grid design. The steps to make this card can be found over at the Sunny Studio Stamps blog or, there is a YouTube video below! 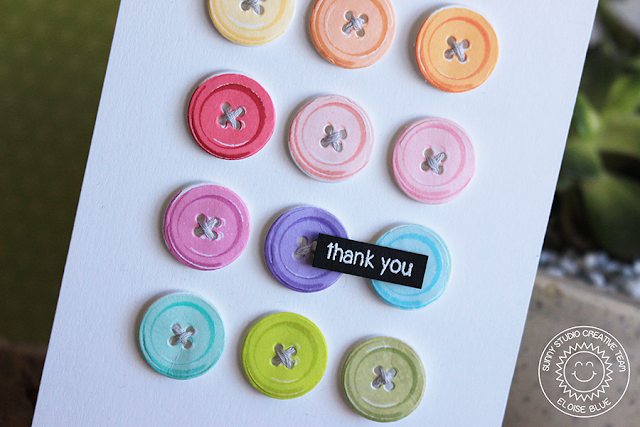 I've already commented your card on N&T blog and said how much I love it, the pastel colors are a perfect choice to match something as cute as a button !